Titled 'Winning Start' this limited edition print illustrates Leon Haslam taking his first ever WSB win. Phillip Island, 2010 will forever be marked as an important race for Haslam, in his first race with Alstare Suzuki the Briton converted a career-first WSB pole position in to his first ever World championship race victory. 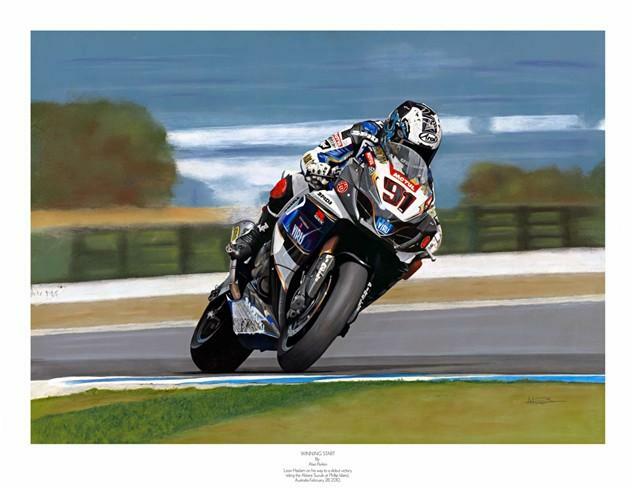 Only 250 of the prints by Isle of Man artist Alan Perkin are available. Measuring 630mm x 490mm each print comes numbered with signatures from both the artist and Haslam. Priced at £39.95 and available from www.leonhaslam.com or by calling 01332 882584.